I am not one for “tablescapes.” They’re just not my strong suit and I think things always look best when you play to your strengths and recognize your weaknesses. 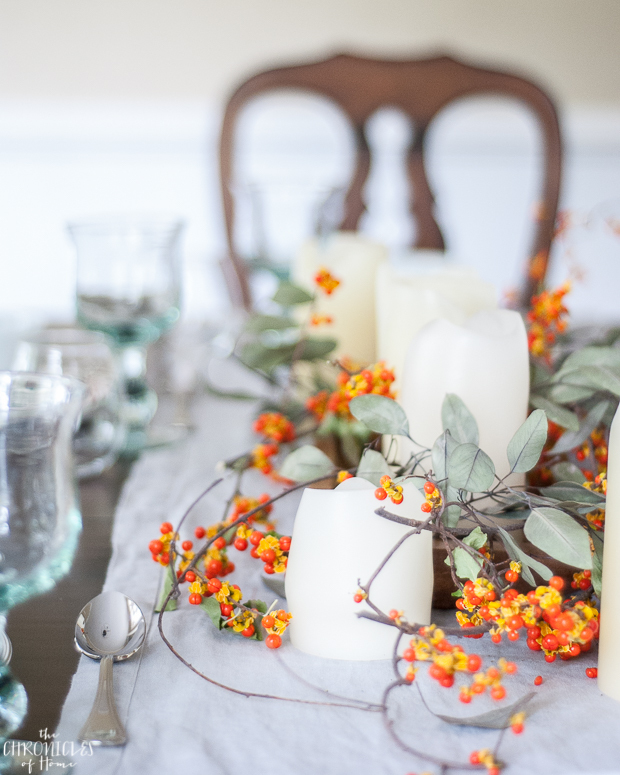 So today I’m showing you how to set an untablescape as part of the Seasons of Home tour I’m doing with a few blog friends (scroll down for links to everyone!). We’re not doing a typical fall house tour but rather just a peek at a spot in our homes where we’ve brought a little autumn spirit inside. The table setting I put together is simple and chic, mixes high and low, and will have you ready for fall entertaining in no time! 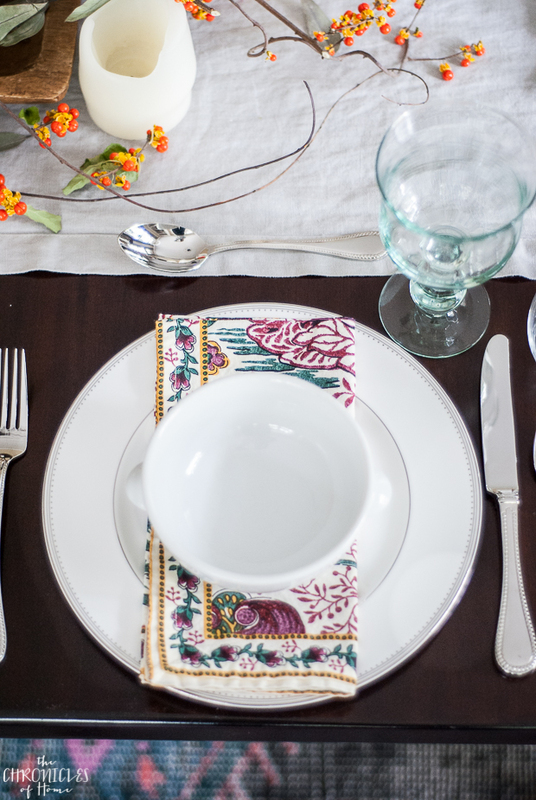 Let’s take a peek at how this easy fall table setting came together, and then be sure to check out the video below to see the whole process. 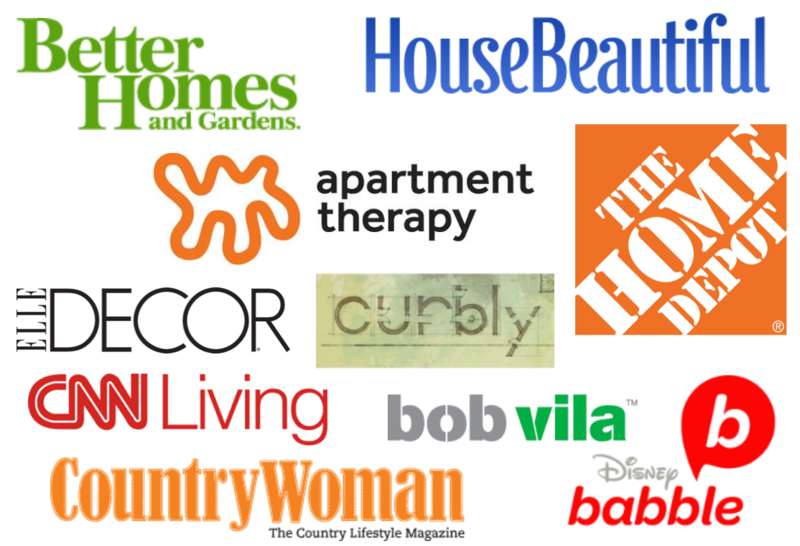 You’ll also find a source list for the items I used, or similar ones, at the end of this post. 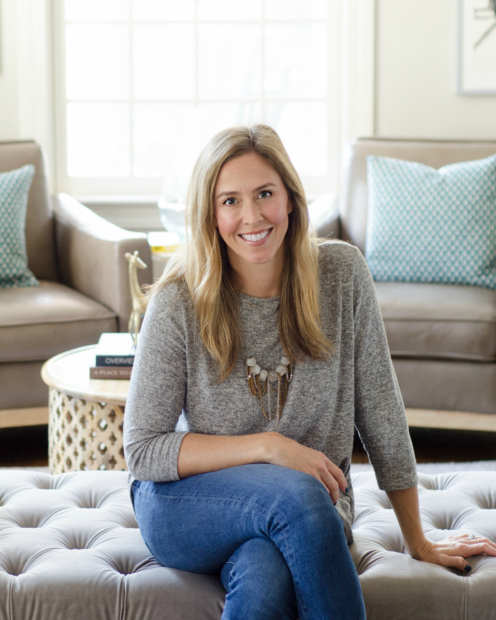 If you missed the post last week about my new dining room rug (which is currently 50% off plus you can get an additional 15% off by clicking the Rugs Direct ad in my sidebar) make sure to check it out HERE. 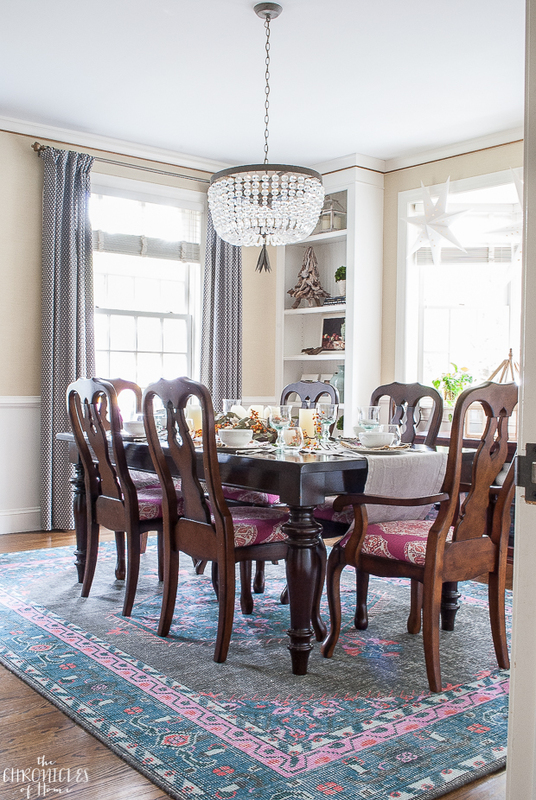 This room still does not have a single thing on the walls – I’m having serious nail hole commitment issues due to the glorious grasscloth wallpaper – but that does not stop me from having people over for dinner parties! I decided very soon after we bought this house that I would not wait until everything was “finished” to entertain. First, because that won’t happen for years, and second, no one cares! 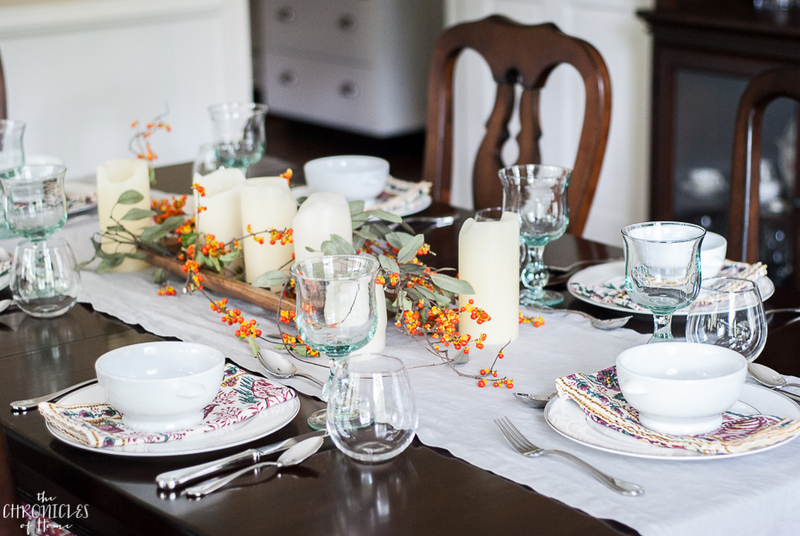 My favorite way to set a dinner party table is with a mix of my nicer dinnerware and everyday pieces. The carved wood bowl, bittersweet berry clippings from the yard, and everyday soup bowls keep things casual, while the bone china plates, my nice flatware, and some classic candles in among the branches elevate it all above the everyday just enough to feel special, but not stuffy. I had some eucalyptus branches leftover from my fall home tour that I tucked in among the bittersweet. I like to place a colorful napkin right on top of the plate to break up all the white. White dishes are, and always will be, my favorite, but that doesn’t mean I don’t like to add color elsewhere! Pale aqua recycled glass water glasses are another of my favorite ways to add a little subtle color to the table. I put together a short video to show how super fast it is to put together a look like this. Granted, part of the video plays in fast forward…but you really could put this whole table together in 5-10 minutes! Here’s a source list of the items I used for this table setting, or similar ones if they aren’t made anymore. 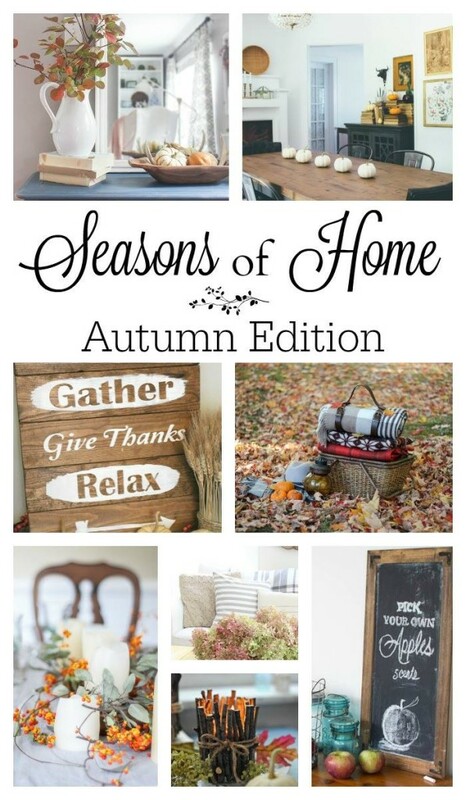 Make sure to visit all the Seasons of Home ladies to see how they brought a touch of fall into their homes too!